Today Formula 1 kicks off at COTA! We know all you race fans have been eagerly waiting for the second installment since the inaugural event wrapped up last year. Despite talks of the race not happening this year, the 2013 Formula 1 race weekend promises to be even more eventful than the first go-round. Here’s what you’ve got to see, do and experience to fully immerse yourself in everything Formula 1. 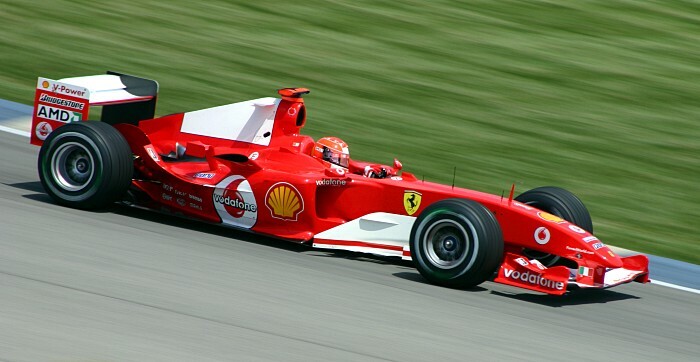 This is your first chance to see the Formula 1 cars in action. Come check out pieces of automobile history up close. Last year local in-the-know online magazine CultureMap rated the Best of Texas Race Weekend Concert one of the top ten events during Formula 1. The concert organizers have upped the wattage of the second Best of Texas Race Weekend Concert by incorporating some surprise British acts. It all goes down at ACL Live at the Moody Theater starting at 8pm. Once you’re done taking in the Texas tunes head on over to Blu at the W Hotel for an after party to remember. Formula VIP Events is hosting the event alongside Red Bull Austin and Austin Monthly magazine. The entire second floor of the W will be transformed into the hottest party in the city with guests and Formula 1 fans from around the world getting to experience the best that Austin has to offer. The fun begins as soon as the concert ends and keeps on going until 4am. But you may want to call it a night an hour or two early since tomorrow is the biggest race day of the weekend. It’s now or never for the race teams if they want to make it to the finals. All those lovely cars you’ve been eyeing the last few days finally go up for auction. This event at Blu at the W is for all the ladies that want to take a break from the racing. The Belmont is transformed into a throwback 50’s inspired Monte Carlo casino for a VIP level shindig complete with a Sinatra cover band and burlesque show. The legendary singer/songwriter takes to the Moody Theater stage. It’s a great chance to catch him before his Broadway play The Last Ship gets under way. If you can’t make it to the racetrack the next best place to be during the Formula 1 finals is Liberty Tavern at the Hilton Hotel. The moment you’ve all been waiting for – the Formula 1 finals blasts off around the hairpins and straightaways of COTA. If you aren’t going to the track you can also enjoy the Austin Fan Fest, which is happening downtown all weekend long. Hosted by Shell the event will include 12 activity zones across 12 blocks. With this much going on Formula 1 weekend promises to be the busiest three days the city has seen since ACL.